The Holterberg in Overijssel is one of the few mountains in the Netherlands. It is almost 60 metres high and is part of the Sallandse Heuvelrug National Park. You will find Landal Twenhaarsveld precisely at the foot of this mountain. 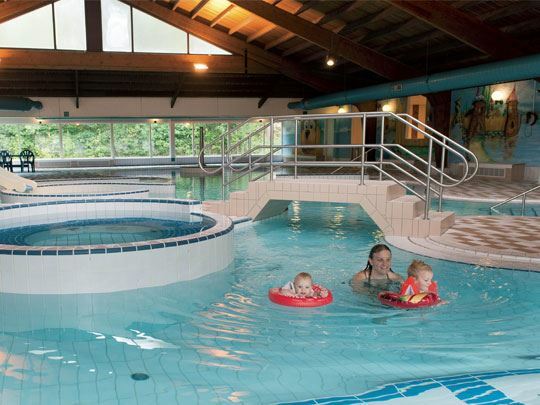 This woodland site and car-free holiday park has many facilities, including an indoor swimming pool, restaurant and water games area. 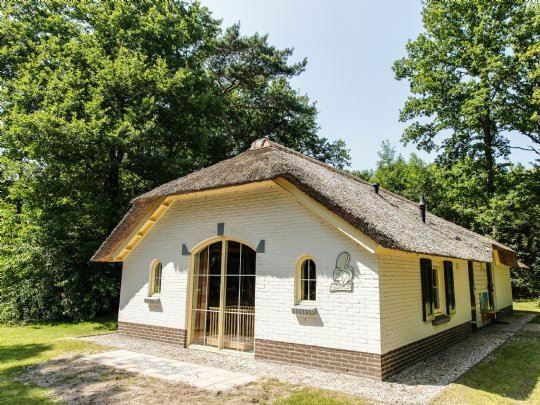 The accommodations form the ideal starting point for hiking, bicycle or covered wagon trips through Twente. 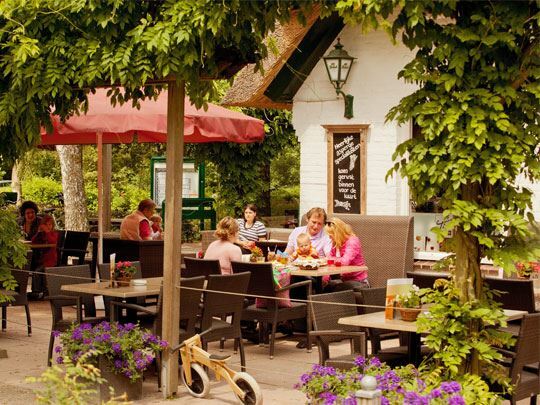 The village of Holten is around the corner and the Hanseatic cities of Deventer and Zutphen are some 20 kilometres from the park. Your legs will be your best asset here. 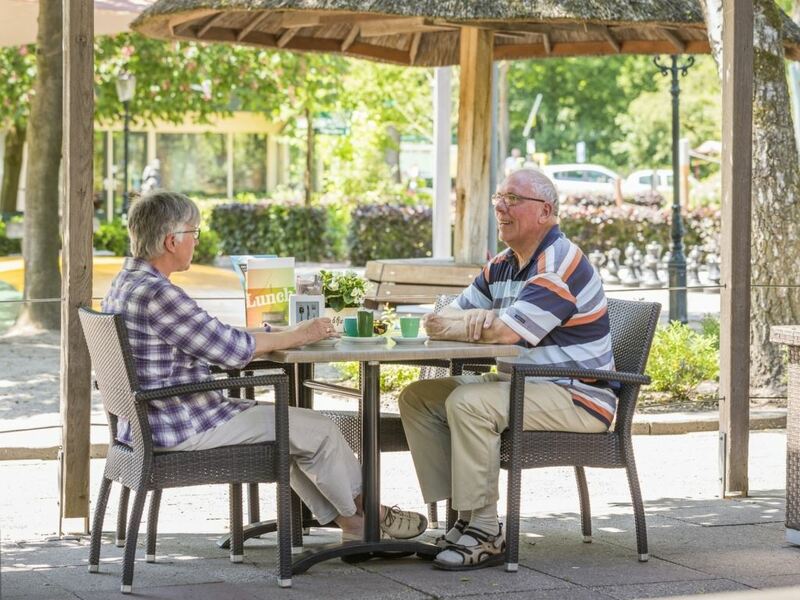 Because of the location at the Holtenberg, you will want to walk and cycle every day. Take your dog with you because he can live it up in the dog swimming area and have a nice dog shower afterwards at the park. 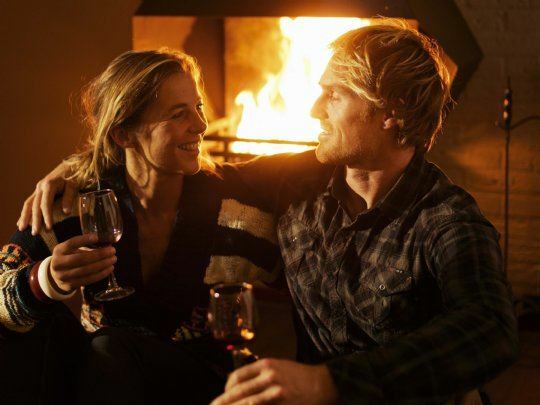 Woodland, heather and hills surround you at Landal Twenhaarsveld. The park can be found at the foot of the Holterberg. End an active day in the cosy restaurant. Cheers! 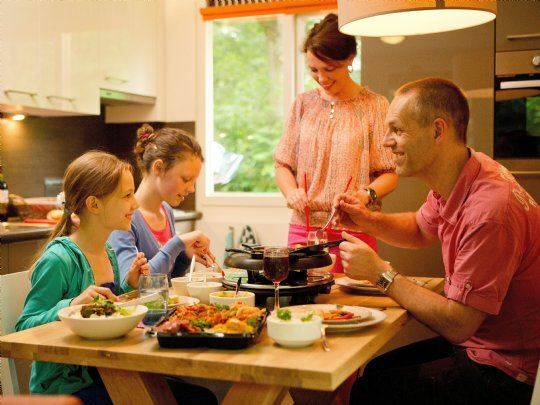 Natural gas-free living – everyone is talking about it, but what does this mean in practice? 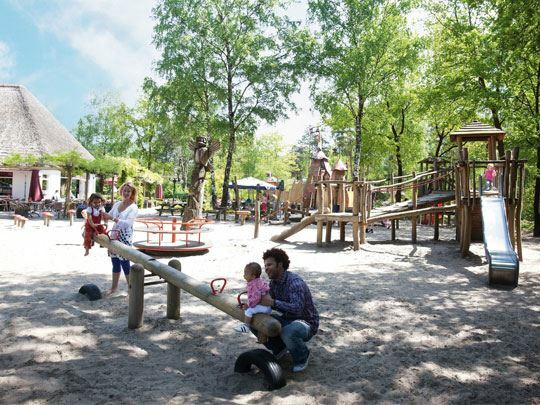 That’s what we, the Dutch energy provider Greenchoice and Landal GreenParks, wanted to find out. Firstly, we wanted to learn more about this ourselves but we also wanted to inspire our guests. 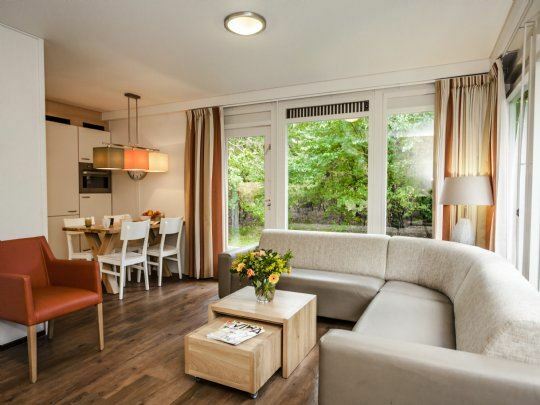 We’ve made our bungalows more sustainable in the following three ways: by using insulation, natural gas-free heating and sustainable energy. Time for each other and having fun doing things together, that's what being on holiday is all about. Bollo welcomes you and your children to the park. 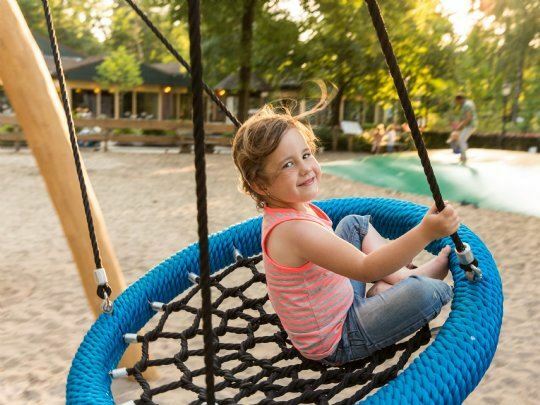 Are you ready to explore with the Discovery Track, to play in the challenging playgrounds, or take a dive in the swimming pool? 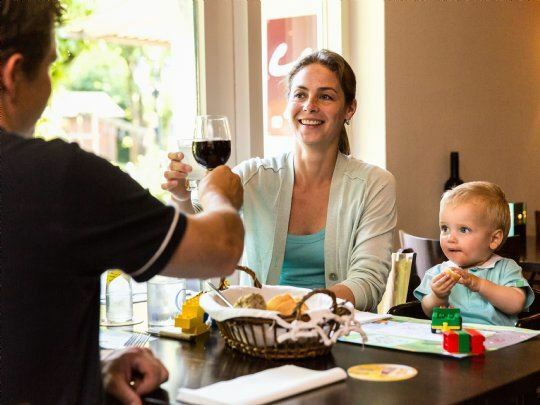 Enjoy with the whole family! Enjoy the greenery of nature. 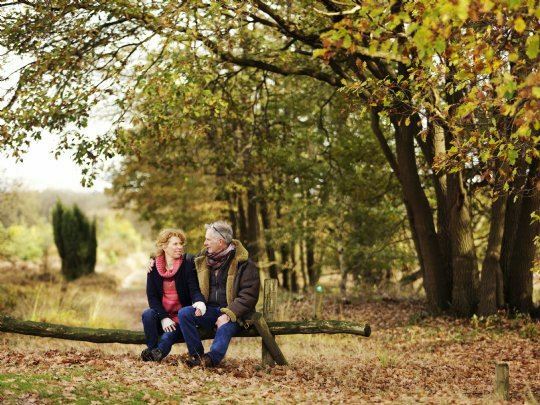 Landal Twenhaarsveld, at the foot of the Holterberg, is the perfect starting point to explore the diverse Overijssel landscape while walking your dog. 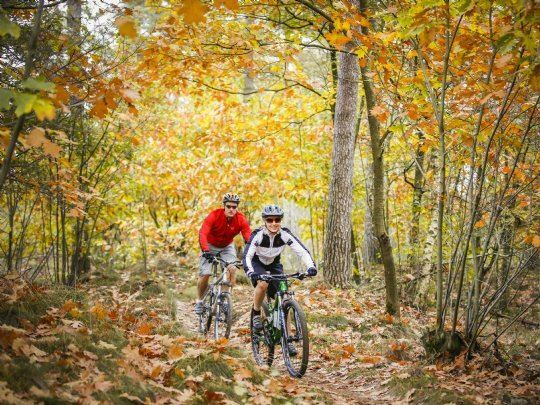 Or cycle with the entire family through the fields of heather at Sallandse Heuvelrug National Park. 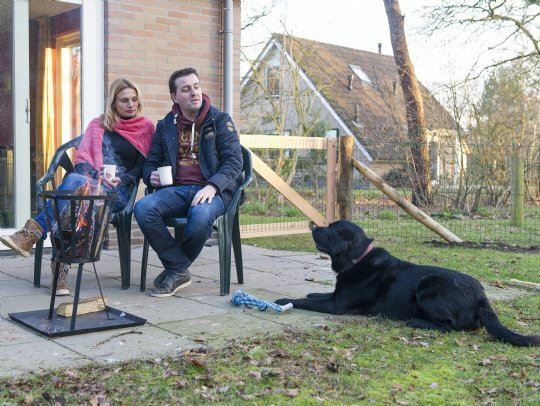 At Landal Twenhaarsveld, you stay with your loyal four-legged friend in a special dog bungalow, which has a plastic dog basket, a bench and a height adjustable food and drink container. The enclosed garden means that the dog can safely go outdoors. There are facilities for dog and owner. Complete your holiday with a special package. Culinary enjoyment in the restaurant, setting out on the bicycle or delicious gourmet grilling in your bungalow without having to do the shopping. We like to make things easy for you. Simply book your packages when you book your accommodation. Landal Twenhaarsveld is certified with a Green Key! This is the international quality mark for sustainable businesses in the hospitality sector. As well as looking after our guests' comfort and making sure the quality of their stay is excellent, we also do our bit for nature and society.